Ultra Clear Muck Digester is a convenient, cost effective solution for treating muck in large ponds and lakes. 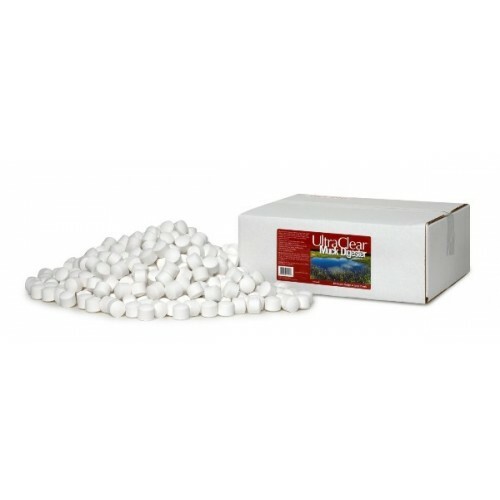 These easy to distribute one ounce dissolvable tablets make is simple for reducing undesirable muck, organic build-up, and improving water quality. Each tab slowly releases nine strains of beneficial bacteria effective for treating large pond and lake bottoms. Use 64 tabs per square acre every 2-4 weeks. Based on an average depth of 4 feet. This item typically ships out within 3-5 business days. PondLyfe aerators from Vertex address the growing need for a professional quality aeration system.. The Vertex Air 2 XL2 pond aerator is a super-efficient, affordable and safe system with two .. 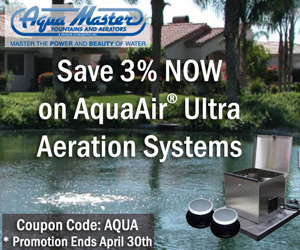 The Vertex Air3 XL2 pond aerator is a super-efficient, affordable and safe system with three.. This Vertex washable and reusable filter should be replaced approximately every 3-.. The Vertex Air4 XL2 pond aerator is a super-efficient, affordable and safe system with four ..